This coming Saturday, June 18th, I will be reading from three of my favourite books. From 3:00-4:00 p.m on Trent Radio, I plan to cover excerpts from Memoirs of My Nervous Illness by D. P. Schreber, Monkey by Wu Cheng'en, and The Yage Letters by William Burroughs. The reading is part of a day-long Open Book extravaganza on Trent Radio, during which anything goes as long as it's written. The three selections I have chosen have nothing in common, except that I like 'em, and they form a perfect trifecta of oddity. Memoirs of My Nervous Illness (1903) is Judge Daniel Paul Schreber's appeal for release from the mental asylum where he was confined. Schreber was highly educated and articulate, and his precise, logical prose forms a stark contrast with the hallucinations he is describing. For example, he believed at the time of writing that God was attempting to transform him into a woman by bombarding him with divine rays, and that little men who lived on his scalp controlled his eyelids. The text is frightening and quite funny at the same time. 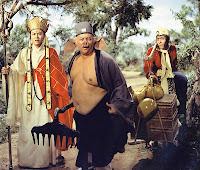 Monkey is a 16th-century Buddhist folktale from China. 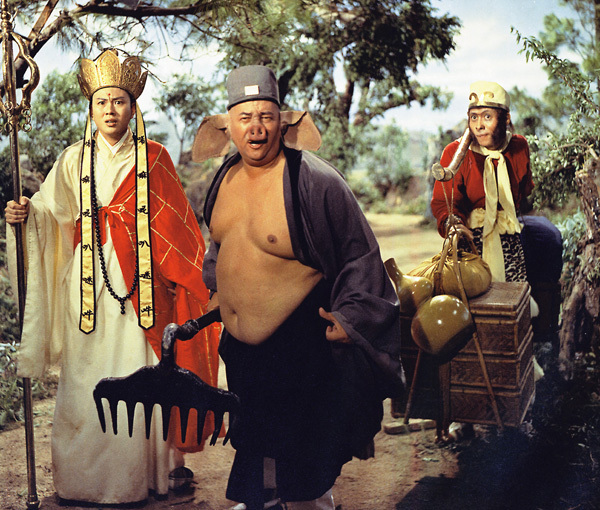 Also known as Journey to the West, it is considered one of the four great classic novels of Chinese literature. It concerns the birth of a monkey-god from a stone and his journey towards enlightenment. It is also simultaneous hilarious and disturbing. I will be reading from Arthur Waley's 1942 translation. Last but not least, The Yage Letters were written by William Burroughs to Allen Ginsberg, detailing his trip to the Amazon in search of the powerful hallucinogen ayahuasca, which he believed could have the power to cure his junk addiction. It is both comic and... you can probably guess the theme by now. If it's a beautiful day, what better thing to do than take your radio out to the patio and listen to great literature. If it's raining, what better thing to do than curl up in your armchair and listen to great literature. 3:00-4:00 on Trent Radio, 92.7 in Peterborough, online at http://www.trentradio.ca/stream.htm.